Mixed Blue Sequins. Buy 1 get 1 free. Tiny 3mm Metallic Blue Flower sequins. CLEARANCE 7mm Metallic Red Embossed Flower Sequins. 7mm Satin Blue Embossed Flowers. 7mm Satin Turquoise Embossed Flower Sequins. 7mm Semi-Transparent Iridescent Effect Flowers. 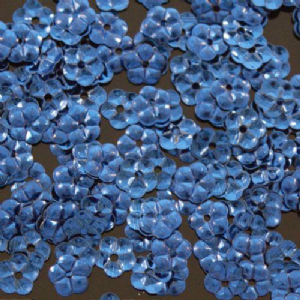 7mm Metallic Blue Flower Sequins.